Believe it or not—it's in our nature to cooperate with one another, even when cheating may be more profitable. Social cooperation is common in every scale of life, from the simplest bacterial films and multicellular tissues to insect colonies and nation-states, where individuals prioritize the common good over personal gain, even when the two might conflict. Scientists have long wondered how social cooperation could evolve and persist, since "survival of the fittest" often favors cheaters that multiply at the expense of others. In a new study, physicists at the University of Notre Dame examined how the mechanical properties of an environment may shape the social evolution of microbial populations. Through computer simulations and analytical calculations, they determined the necessary properties of diffusion and flow that allow microbes to evolve stable social behavior. Their findings also allow for speculation that the evolution of single-cell organisms to multicellular organisms may have taken place in flowing fluids like rivers or streams as opposed to larger bodies of water such as oceans and lakes. 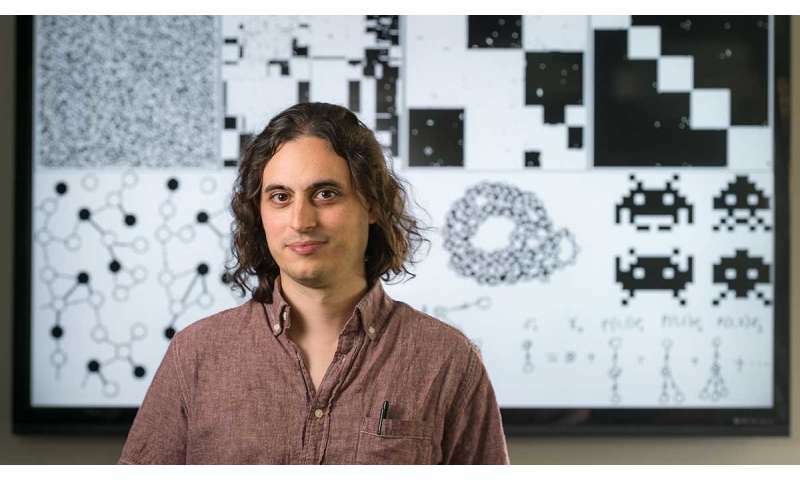 "Microbes form groups, like little villages," said Dervis Can Vural, assistant professor in the Department of Physics at Notre Dame. "If a cheater mutant emerges in one, its descendants will multiply at the cost of others, and spread like a tumor. Such non-cooperating groups will grow weak and die." Unlike most past approaches that describe cooperation in abstract language of economics and game theory, the Notre Dame group was interested in determining the role of physical forces on social evolution. The model consisted of bacteria secreting two types of diffusing molecules: a "public good"—a molecule that provides a benefit to those nearby, such as a digestive enzyme—and waste. While both cooperating and cheating strains produce waste, cheaters produce less or no public goods while benefiting from the molecules produced by the cooperators. In the absence of fluid flow, cheaters ultimately took over, weakened and killed the entire population. However, when the team introduced flow into the model, shear forces caused some of the microbial groups to distort and occasionally fragment, which limits the spread of cheaters. "Fragmentation is the key to stable cooperation," Can Vural said. "If groups manage to fragment more often than mutants appear, then cooperation will prevail. It's a bit like starting a new forest before the fire catches on." Understanding evolutionary transitions in social behavior can help engineer strategies to manipulate microbial ecosystems. As a proof of concept, the team was able to fine tune social evolution using only flow patterns, so that bacteria would cooperate and persist only in a confined region; elsewhere they would be taken over by cheaters and go extinct. "In a waste treatment facility, in an industrial bioreactor or in our own guts, it is desirable that bacteria cooperate and coexist harmoniously to fulfill different functions. It would be very bad if one strain took over at the cost of others," said Gurdip Uppal, a graduate student at Notre Dame, who co-authored the study. "In other cases, such as with disease-causing biofilms, we would like to suppress cooperation, since this makes them so much stronger."